Machine Learning is the field of Artificial Intelligence which gives computers the capability to learn. It is the scientific study of algorithms and statistical models. It authorizes software applications and predicts exact outcomes without programmed. It focuses on the computer applications to access data and uses. 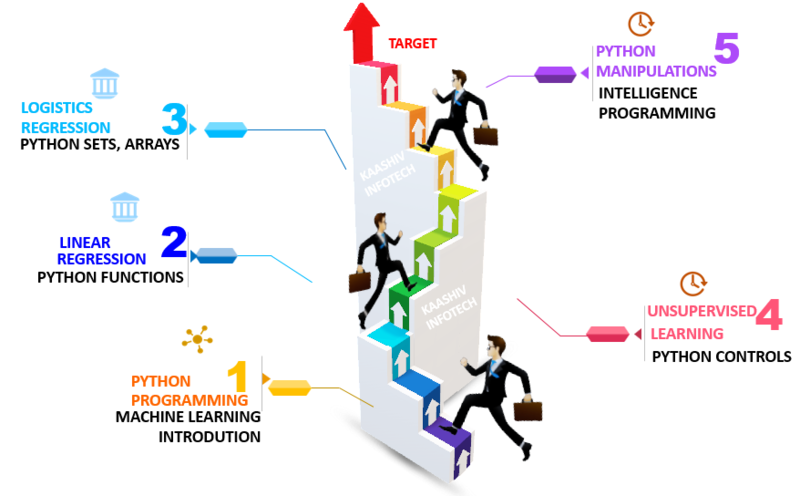 Why KaaShiv InfoTech Company to learn Machine Learning Training in Chennai? Kaashiv provides Best Machine Learning Training in Chennai with professional trainers who provide real-time training and also projects to the candidates for better understanding. Why Students Enroll for real time Machine Learning Course ? Machine Learning gives idea based on computers must adapt learn and gain experience. It is a procedure of data analysis and automates analytical model building. Kaashiv provides Machine learning training with Python and R programming concepts and trains students as experts in this field. Students undergone Machine Learning training will be expertise in Machine Learning Specialist & Python Programming. For Machine Learning Training 120 concepts from Basic to Advanced will be covered.